NEWBURGH—Although the coffee drinks from Jazzman’s may be ordered just for the taste, some Mount students feel like the effects of caffeine are necessary in order to wake up and get through the day. According to hercampus.com, when taken in high doses, which it often is by college students, caffeine has negative effects. After consumption, caffeine works like other drugs, giving the consumer an energized high for a few hours then a crash when the effects wear off. Although there are negative side effects to caffeine consumption, college students still drink coffee regardless of the consequences. 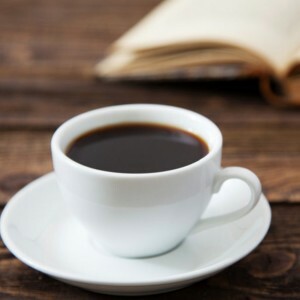 However, most college students don’t drink too much coffee to the point where it causes serious negative health effects, according to a study conducted at the University of New Hampshire. Often in times of stress and increased work load, like during midterm or final exams, students use caffeine as a sleep substitute. Junior Molly Croce said if she has to stay up late to study, she makes a cup of coffee to drink. Croce said she gets bored while studying regardless of the topic or subject. “I feel like coffee can help keep my energy level up so that the boredom won’t prevent me from studying,” she said. However, Junior Ana Dubetsky said she drinks coffee more for taste instead of for the caffeine. Dubetsky said she doesn’t drink coffee before studying. Dubetsky and Croce are drinking coffee the right way though. Both students drink only one to two cups per day. According to the FDA, the average student drinks around two five ounce cups of coffee daily. According to everydayhealth.com, a cup of coffee or tea contains many beneficial antioxidants. Coffee or tea is also a much healthier option than an energy drink or taking a caffeine pill, which can be harmful.